Are you one of those ultra-dedicated CEOs who sometimes sleep at the office? Do you just like to make sure you have a fresh shirt for days when the Louisiana heat and humidity get the best of your crisply pressed look? Maybe you like to store your personal effects somewhere other than your desk drawer? 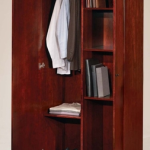 You could probably use a freestanding office wardrobe. This double-door beauty from DMI has a sunset cherry finish and European style door hinges. The eight shelves can be spaced just right for your shoes or books, or removed altogether so you can put your golf bag inside. Speaking of sports, if you are frequent visitor at Revolution Park for the NASCAR races, you might lust after an office chair that is built for those who love fast cars. The Xten by Pininfarina (the design firm behind the genius of Ferrari and Maserati) brings you the ultimate seating sculpture. This chair features flexible, breathable fabric use by Olympic athletes and Technogel cushioning that supposedly reduces seating pressure and fatigue by over 60 percent. 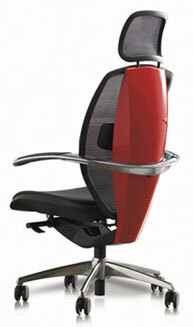 The chair comes with a full complement of ergonomic adjustments to put you in gear for your workday. Here’s another design inspired by finely engineered objects. 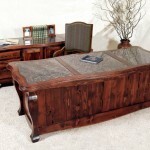 The Jumbo Jet Executive Desk from MotoArt will leave no doubt about who is the captain of your company. This C-suite special looks like the fuselage of an airplane – because it’s made of vintage airplane parts. The windows along the surface of the desk don’t give you a view from 30,000 feet, but you can have them equipped with LEDs, digital photographs or iPads for an extra techno touch. The rest of the pieces from this high-fashion office furniture design house feature many other airplane parts, so be sure to browse the whole collection. 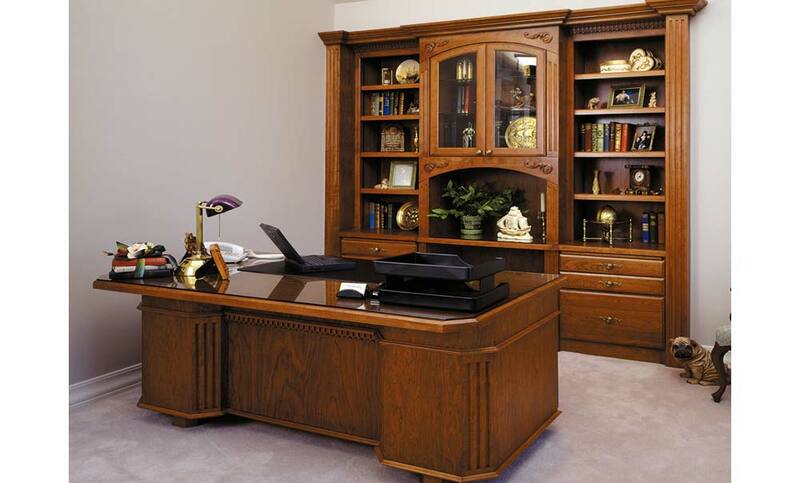 Do you want to decorate your space with remarkable and unique executive office furniture? New Orleans-based Office Planning Group can put together a “look book” just for you. Do you know about the case of the “amazing shrinking cubicles?” Metairie and other Louisiana office workers who have been around for a while may remember what workstations looked like back in the 1970s. 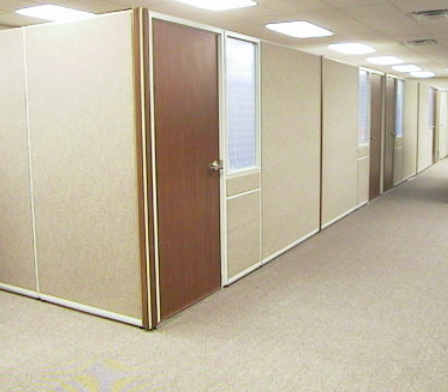 Back then, the typical cubicle was a spacious 12’ x 12’. Twenty years later, it was diminished to 10’ x 10’. Today, a 6’ x 8’ is considered normal. According to Haworth, a leading office furniture manufacturer, we could be looking at another 20% cut in workstation size in the future. Will these new cubicles be just big enough to stand up in? Will employees feel like clowns stuffed in a phone booth? To understand why cubicle shrinkage isn’t always a bad thing, it’s important to understand why and how it is happening. First, you need to take a look at office technology. The amount of space taken up by a flat screen computer monitor today is a fraction of the space required for a boxy CRT monitor. Plus, there’s a lot less need for paper filing space within individual work areas since so much documentation is stored electronically. This means workers can have a smaller workstation while enjoying the same amount of usable worksurface. Next, you can consider how space is being redistributed. There’s a growing trend toward providing workers with greater flexibility in the office environment. More collaborative spaces are being added for teamwork and employees can choose to spend less time in their cubicle while still getting work done. Since more and more workers are mobile, many only need a small workspace to touch down when they visit the office. They aren’t going to feel claustrophobic by being cooped up in a tiny space because they don’t spend 8 hours a day there. Do you need to source space-conscious cubicles? Metairie and New Orleans businesses can rely on The Office Planning Group to assemble all the best choices. Do you love the French quarter? This gorgeous executive office desk is inspired by the ornate decor that graced the courts of Louis the 13th through Louis the 15th. 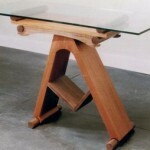 It’s hand-crafted of solid, exotic cedar stained to a rich mahogany semi-gloss finish. The curlicue hardware is custom, hand-forged iron and the wood is finished with five coats of hand rubbed lacquer. 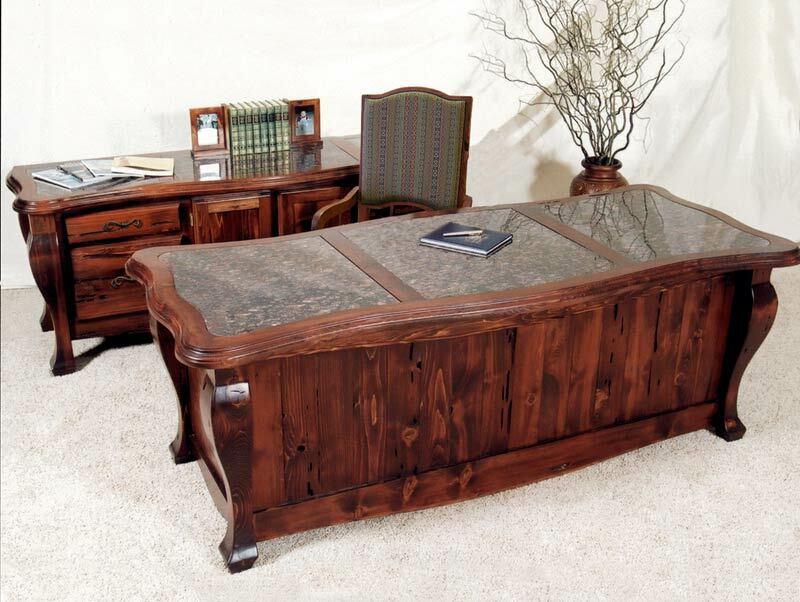 The granite inlays in the top give this desk a luxurious surface that’s cool to the touch. It’s 100% made in America, so you can feel good about keeping master craftsmen in business. 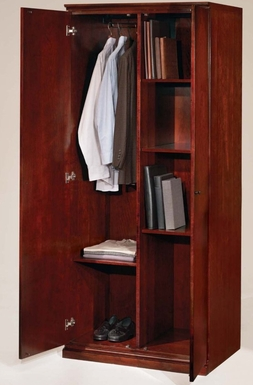 Sometimes, a well-designed storage cabinet can upstage even the most imposing executive desk. 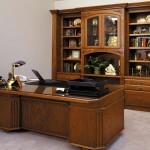 That’s the case with this elaborately detailed cherry credenza and bookcase. Crown and dentil molding, appliques, fluted columns and other architectural touches will hypnotize visitors who come to your office. Your designer will have a field day dressing this furniture up to display artwork, family photos, awards, books, and other decorations. We think this piece is as pretty as a Louisiana debutante. Louisiana is one of the most delightful melting pots in the United States. We take in all comers and invite them to make the most of their talents. We couldn’t close this post without mentioning The Office Planning Group’s own featured artist, Liam O-Brian. He’s a Dublin transplant who has been living in New Orleans since 1985. Here, he’s made a name for himself with Celtic-inspired furniture. 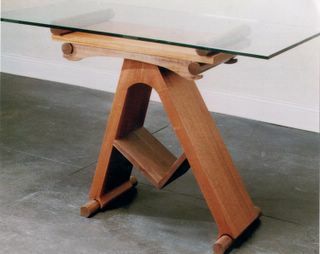 We think one of his custom-designed glass-topped side tables would look at home in any well-appointed executive office. Don’t you? Stay tuned for next week’s installment where we explore even more designs for modern executive office furniture. Louisiana clients who are looking for one-stop shopping can contact TOPG to put together a whole collection of carefully hand-picked items for their office. 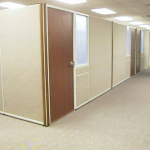 For the private offices, OPG installed near ceiling-height movable acoustic walls complete with doors that close. These are much less expensive than built-in offices and the fact that the walls don’t touch the ceiling makes lighting and ventilation less complicated. Working with an accounting firm is always a pleasure because they’re smart with their money! Are you considering remodeling your open plan office space? New Orleans Office Planning Group can help you do this quickly and affordably. Contact us for a free consultation today. 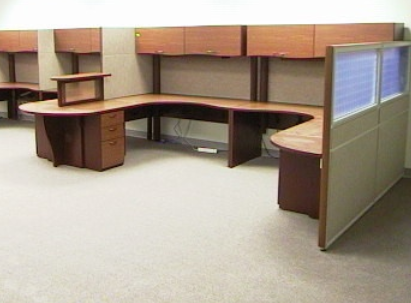 Are you looking to offload a few items of used office furniture? Louisiana has a number of charitable organizations that offer free pickup at your location. Donationtown.org is a free service that matches non-profits with individuals and organizations that wish to donate gently used items. You can simply enter your zip code at their website to find out which non-profits in your area are willing to arrange transportation. This might include the Vietnam Veterans of America, Habitat for Humanity, and other well-known organizations. Goodwill and the Salvation Army also typically do on-site pickup. Many of these organizations are best known for reselling home furniture. 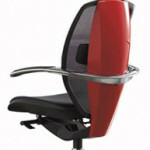 However, office furniture can be an even bigger boon if they are trying to furnish their administrative space. If you like to build a more direct connection with your community, you can also consider your local Freecycle.org group. You’ll be surprised by the number of responses you get within a day of posting your items. Be sure to specify when, where and how the furniture can be picked up including the number of people required to move it and the size of vehicle needed. This is a great way to donate small batches of office furniture to individual business owners. Just a desk or a chair can make a big difference to someone trying to set up a home office. The users who frequent the Freecycle sites may also know of local organizations that could benefit from a direct office furniture donation. 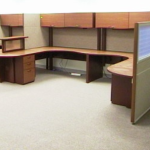 You probably won’t get a tax write-off for giving office furniture away on Freecycle. But it does keep the items out of a landfill. If you have just a few items, Craigslist is probably your best option. But for larger batches, it makes more sense to sell to an office furniture dealer. You’ll get a fair price and no hassle. The Office Planning Group is happy to pay cash for high quality items that are still in very good condition. This is an option our clients enjoy when they are upgrading or downsizing and want to make some money back on their used office furniture. Louisiana businesses can also enlist our help to liquidate their office and remove furnishings in preparation for a move, build out or other transition.